Horticare Landscape Companies has proudly served Little Rock, AR and the surrounding areas for over 20 years, we are a full service lawn maintenance and landscape contractor, offering everything from routine mowing and fertilization to custom landscape design and irrigation to both residential and commercial clients. Our team has the knowledge and experience necessary to transform your backyard or outdoor commercial space into a work of perfection and provide you with quality service you can count on all year round. Whether we are planting trees, starting a garden, or increasing your curb appeal; our entire team enjoys making our customer’s property all that you envision it to be. 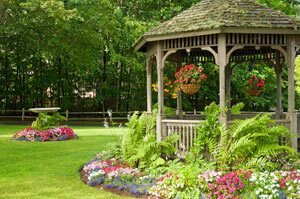 We also offer a full service Nursery dedicated to providing quality products at exceptional prices. Our knowledgeable staff is ready to answer all of your gardening questions. Whether you're looking to spruce up your yard or want to plant an entire landscape bed, we can help turn your dreams into realities! Horticare is a proud supporter of the Ronald McDonald House Charities of Arkansas (RMHCA). Our landscape division donated their time and creativity to design and build a beautifully constructed lighthouse fountain, engaging herb gardens and wonderful potted plants. We hope that our contribution to the Wellness Garden and Courtyard will provide a serene space for families that seek a tranquil place to repose. 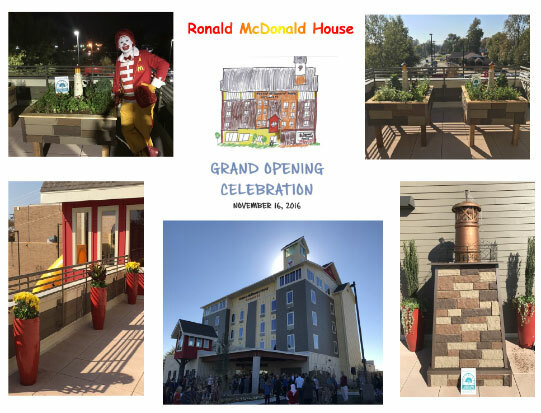 We were honored to support our community and be a part of the grand opening celebration on November 16th at the new Ronald McDonald House facility at the corner of 10th and Dr. Martin Luther King, Jr. Drive in Little Rock.